Antique and with a handcrafted air, this Park Avenue server is an impactful statement piece. Constructed of wood with a walnut, wire-brushed finish, the server makes the grain of the wood the real star of the show. 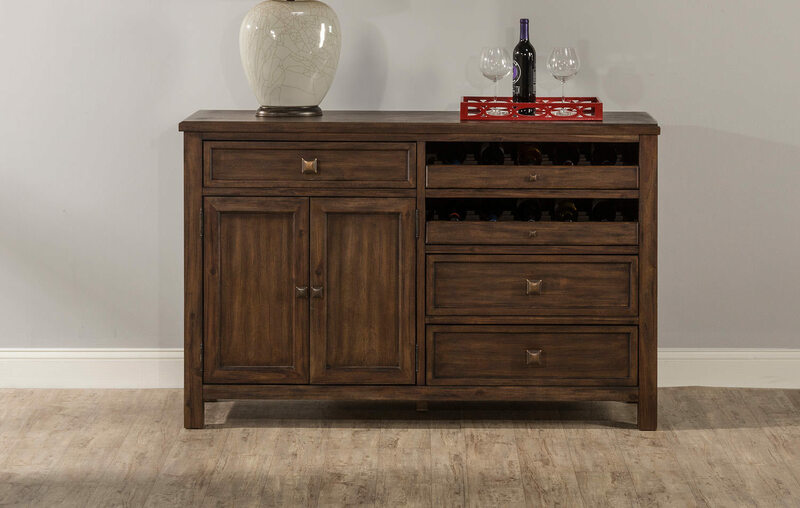 It features recess wine storage drawers with space for ten bottles, three pull-out drawers, and two door cabinets.